It's the most wonderful time of the year. Or is it? 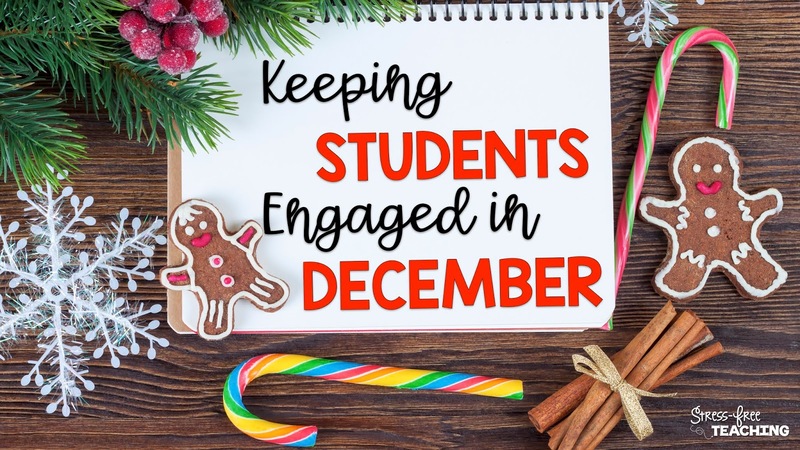 It's only the beginning of December, but students everywhere are counting down the days until the holiday break. Let's face it - some teachers are, too. 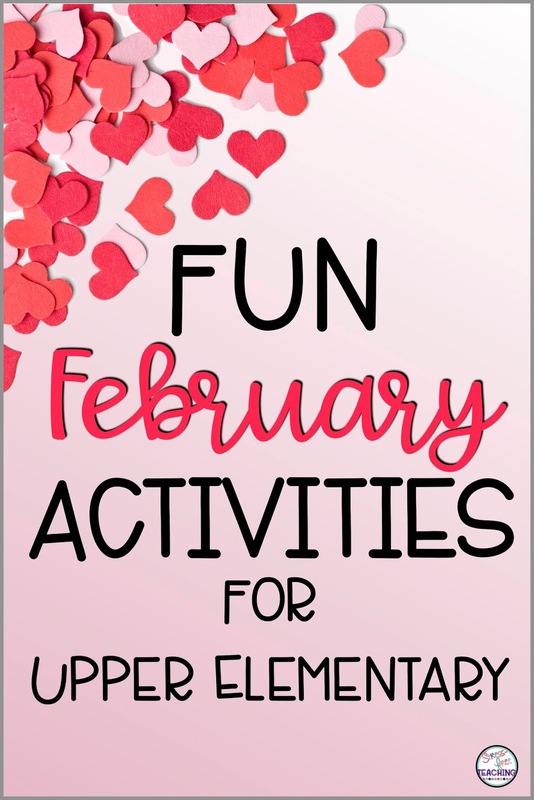 Finding activities to keep students engaged at this time of year can be a challenge. 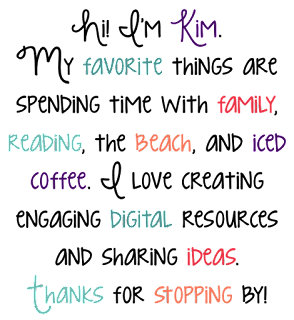 Here are some of my tried and true December Activities. 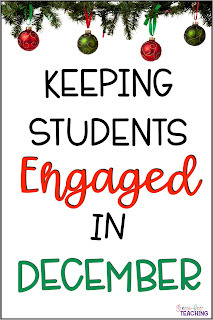 Go shopping - Bring in some catalogs, give students a budget, and let them shop. This is great practice for adding and subtracting decimals! 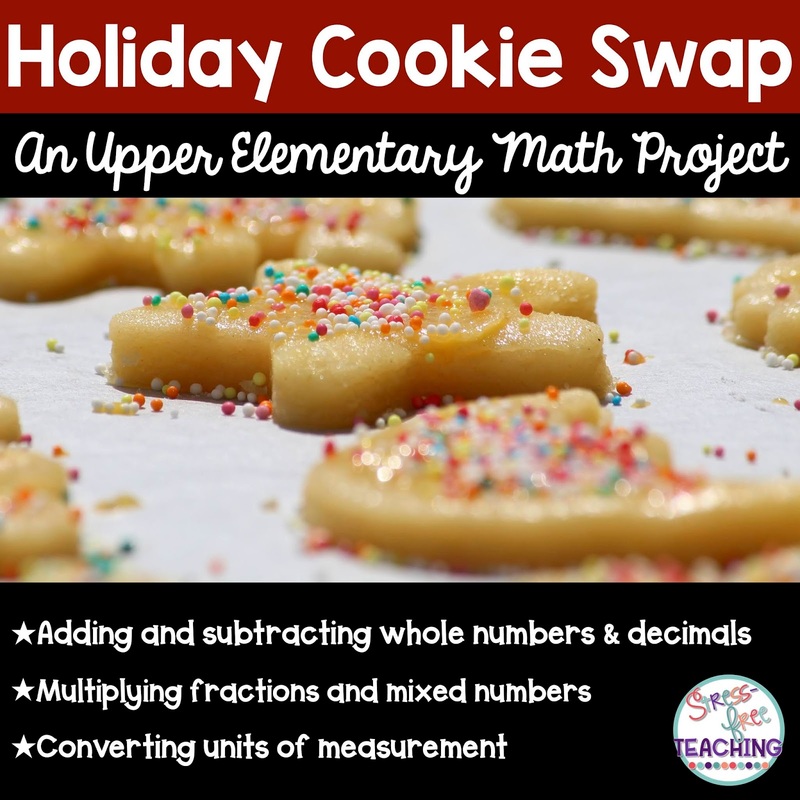 Recipe Conversions - Have students find a favorite recipe and convert the measures of ingredients to feed a large crowd like your whole school or a local soup kitchen. 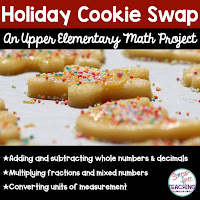 Cookie Swap - I created this project to work on multiple skills: converting measures, adding and subtracting decimals, multiplying fractions, and writing. Check it out here. Another way to engage students is through writing. Yes, you read that correctly. Writing, but with a twist. I love using quick writes with my students, so I decided to do a quick write with a twist. I came up with five different quick write story starters, typed them, and cut them into strips. Next, I had my students count off by 5s. All the 1s went to one table, the 2s to another, and so on. Each student at the table received a different story starter. I set the timer for ten minutes (without the students knowing) and had the students copy the starter onto writing paper and continue the story. When the timer went off I asked the students at each table to rotate clockwise. Then, they read what the student had written and continued the story until the timer went off again. We continued to rotate until each student arrived back to his/her original story. The students had a blast reading the stories and discussing how they turned out. Would you like to try a set for free? Fill out the form below. The story starters or writing prompts, can be used in many ways. 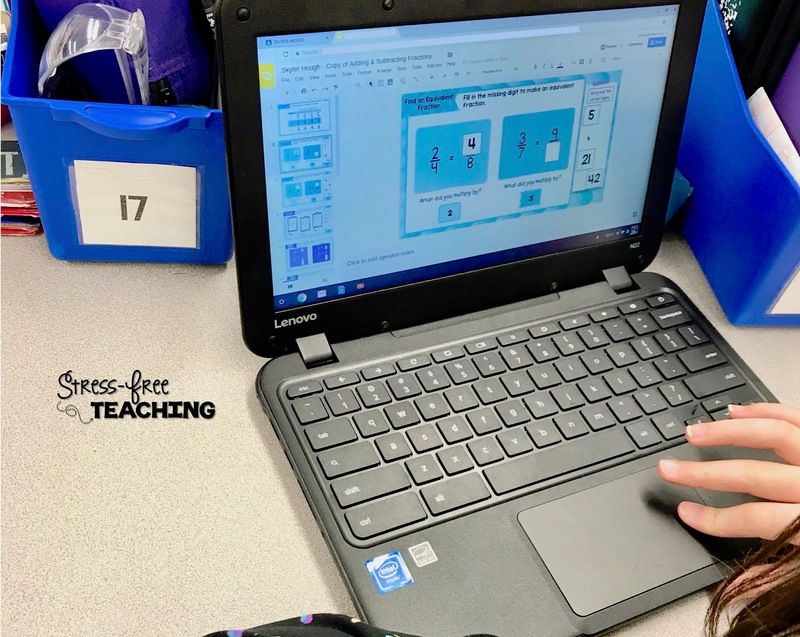 You can use the strips and have students copy them over or use the full sheets. I even created a digital version. Check them out here. 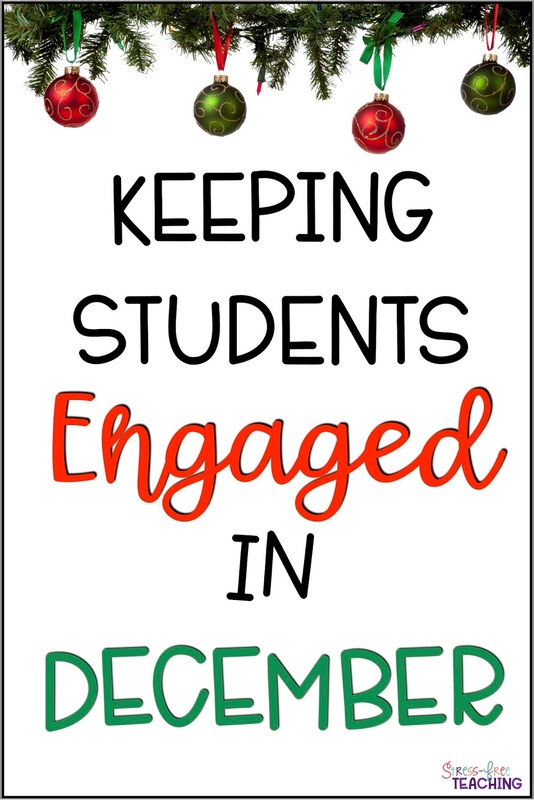 How do you keep your students engaged at this time of year? 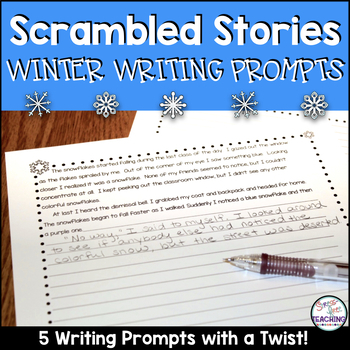 Subscribe to my email list to get a set of winter-themed writing prompts to use with your students right away. Send me the writing prompts! We won't send you any spam...just tips and tricks you can use in your classroom. Don't worry, you can unsubscribe at any time. Math stations or centers are an important component of Math Workshop. My students rotate through four centers each day: Math Facts & More, At Your Pace (independent work), Teacher's Choice, and Hands-on. The Hand's On station is my digital station. 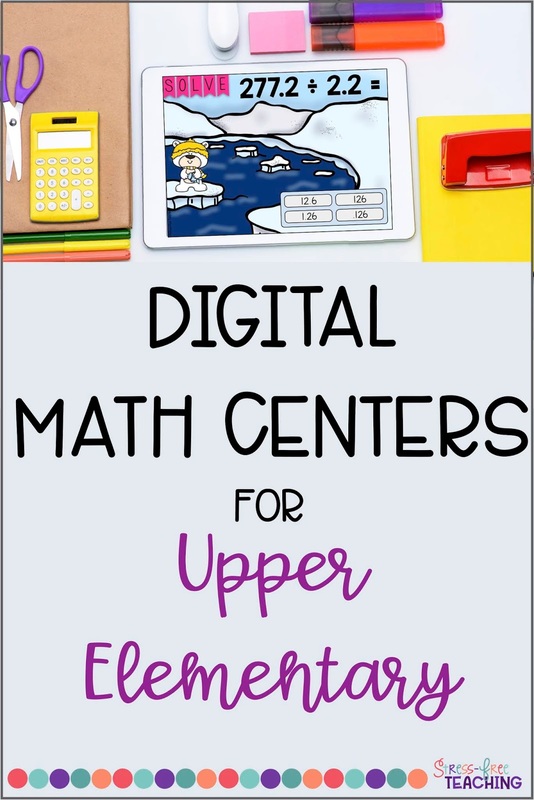 Digital centers are perfect for the classroom, but it can hard to decide what tools to use because there are so many different options. Before we talk about specific digital centers I want to talk about Google Classroom. Google Classroom has been a gamechanger in my classroom. It allows me to quickly and easily organize and pass out digital assignments. If you would like to read more about setting up Google Classroom click here. This site is great for math fact fluency practice. 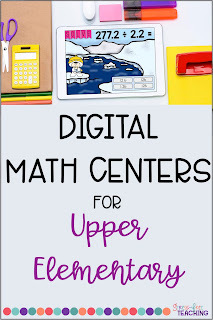 Many upper elementary students need to work on fluency to help with multi-step or multi-digit problems. This website requires a membership, but it has a lot to offer. iXL has both a diagnostic tool and an unlimited number of questions for each math domain. 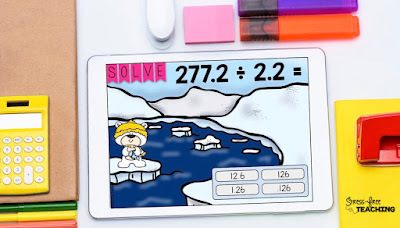 I love using it to target specific math skills. Prodigy is a free online adaptive math game that integrates math skills into a wizard-themed role-playing game. Students are placed at a math level after completing a preliminary tutorial. Then, students work through math problems that increase or decrease in difficulty level based on how the questions are answered. There are many interactive resources available that work with Google Classroom and Google apps. Resources that are engaging for students and include assessment are my favorite. Using Google Forms assessments make grading quick and easy! Check out some Google interactive digital resources here. 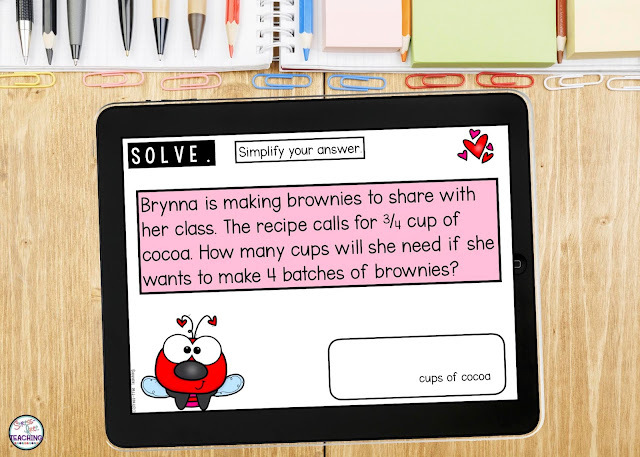 Boom Cards by Boom Learning are digital task cards. They are self-checking. Yes, you read that correctly. Students receive instant feedback as they solve and answer math questions. Teachers can access student data, too. Best of all, Boom Learning is an Academics' Choice Awards™ award winner. How would you like to try Boom cards for free? 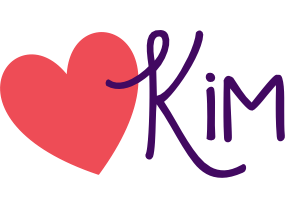 Join my email list to grab a deck to use in your classroom. 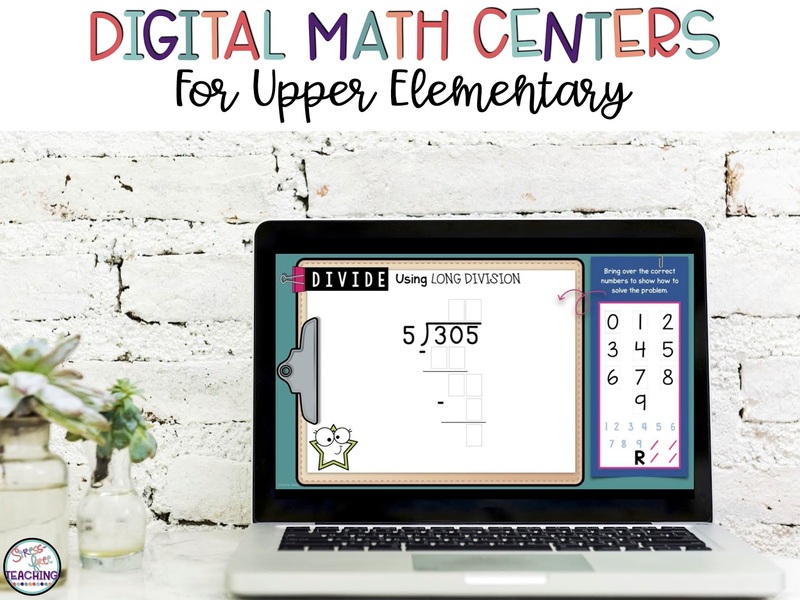 Do you have any favorite digital centers? I would love to hear about them. Share your favorites in the comments below. Parent conferences can be stressful for teachers, parents, and students. 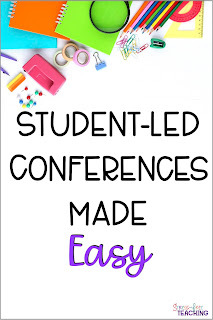 The purpose of a conference is to discuss student learning, but planning and organizing conferences can be time-consuming. What if I told you that I found a system that works? I realized that students should take part in the conference. 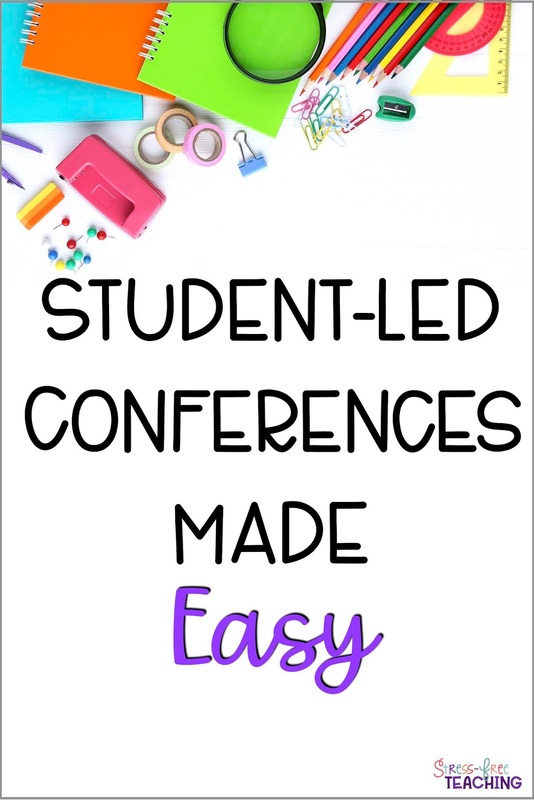 So, I changed the way I conducted conferences. Now, my students attend the fall conference, share and reflect on a few pieces of work, and set goals with parent and teacher input. Our spring conferences are completely led by students. Each student shares his/her portfolio of work with parents and/or guardians. It is the BEST! I start getting ready for conferences in September. Each student brings in a folder to hold portfolio work. The folder is used to keep work that will be included in the end of year portfolio. I also begin having students reflect on work as soon as the school year starts. This is helpful because I want them to reflect on the work as it is happening rather than trying to remember the circumstances many months later. The fall conference is scheduled in the middle of our first trimester. About a week before the fall conference each student picks two pieces of work to share and completes reflection sheets if they haven't been completed already. The reflection sheets require students to think critically about the piece of work. I encourage my students to choose work they are proud of and work that they wish they could do over and improve. I pair students up to practice sharing work. The goal is for the student to talk about the work without having to read the reflection word for word. Practice makes all the difference! Students also reflect on the start of the school year. They write about things that are going well and highlight something that makes them feel proud. Students also write about any challenges they have faced and list some goals that they would like to meet. This becomes one piece that each student will share during the conference. You can grab a copy of the reflection sheet below. Each conference begins the same way. I address parental questions and/or concerns from the pre-conference questionnaire. Next, the student will share his/her work and the self-reflection. Then, I give an overview of student progress and address any concerns. The last part of the conference is a goal-setting conversation. The parents, student, and I review goals set at the beginning of the year and look at the list of new goals that the student wrote. We decide whether to keep current goals in place or set new goals for the remainder of the term. I fill in the goal information on a conference form and either print or email a copy to the parents. Each conference last about 20 minutes, but could be longer if time allowed. Parent feedback is always positive and they love listening to their child share work. Students collect and reflect on work throughout the remainder of the year. I also take a lot of pictures in the classroom, at special classes (art, music, technology, physical education, etc. 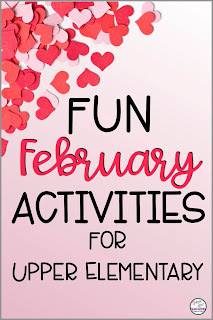 ), field trips, and recess. Students love to include photos in their portfolios. The spring conference is very different from the fall conference. Each student prepares his/her portfolio to be shared. They practice with peers to make sure that they know what they are going to say. Two students sit at each of the cafeteria tables. If your cafeteria is bigger than mine you might be able to do one student per table. 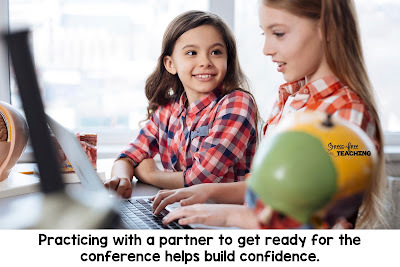 I place a list of steps for the conference on the table to help each student remember what to do. I also purchase small bottles of water and set them on an empty table in case any of the participants get thirsty. Family members join their children at each table. Each student presents his/her portfolio to their family at the same time. The tables are big enough that having two presentations at the same time is not a problem. I float around the cafeteria taking pictures and observing the process. If a student raises his/her hand I will head to the table to answer a question or concern. This does not happen often. When I first started this process each student had a three-ring binder. We placed work samples and reflections in sheet protectors and placed them in the binders. 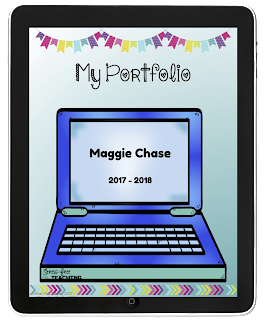 This worked out well, but now that I have embraced Google Classroom and digital learning my students keep digital portfolios. 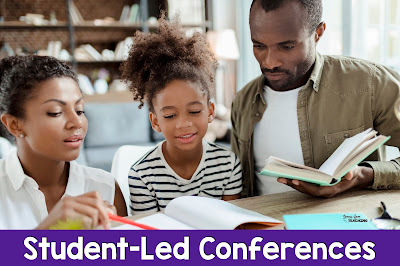 How do you structure your parent conferences? I would love to hear about it! 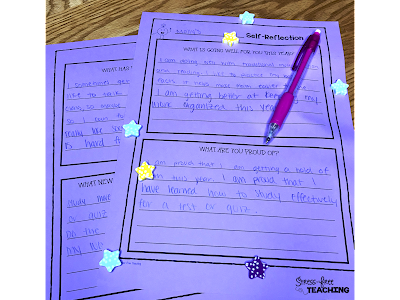 Don't forget to grab your student reflection forms! 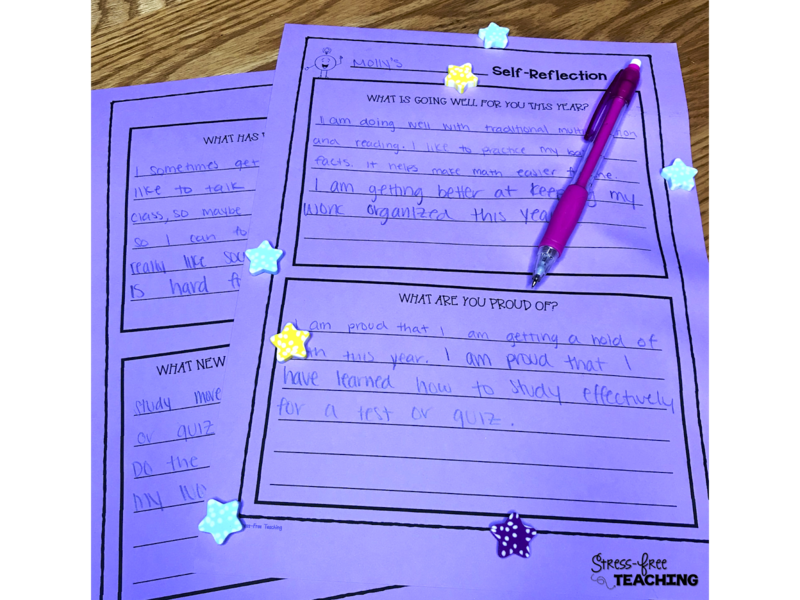 Grab your student reflection forms! Subscribe to our list to get the student forms for FREE. Volume can be a difficult concept for students. 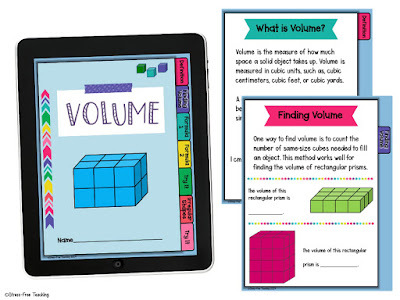 Fifth-grade students are expected to understand the concept of volume, calculate volume by counting cubes and by using a formula, and understand that volume is additive. 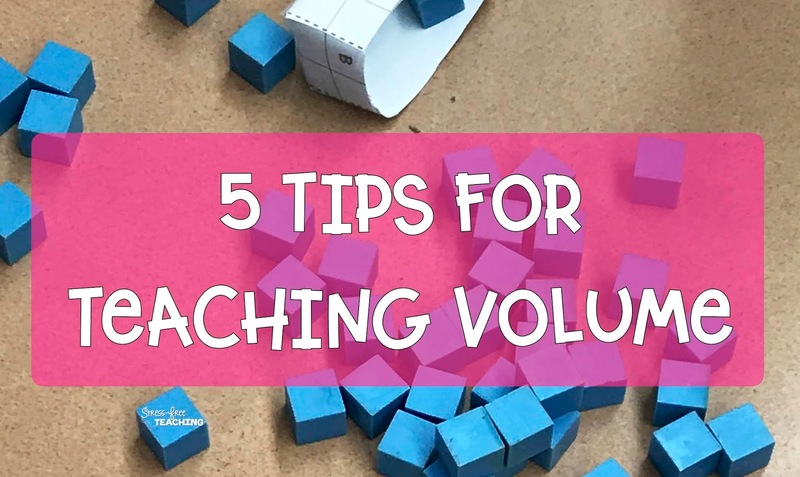 Here are my tried and true tips for teaching volume. Before tackling volume it is important to make sure that students understand the concept of area. Students that are clear on what area is and how to calculate it will have a much easier time understanding volume. I review the concept of area, the area formula (A = l x w), and why we use square units when talking about area. Many students come to math class without knowing the mathematical definition of volume. So, I begin by explaining volume. Volume can be defined as the amount of space a three-dimensional object takes up or volume is the measure of how much space a solid object takes up. My students record the definition of volume in their math notebooks. Additional information is added throughout the unit. I have also used a digital version of the notebook. You can check that out here. Spend time looking at two dimensional and three dimensional objects. This will help students to see the difference between them. I begin my volume unit by investigating rectangular prisms. I collect a variety of small boxes for students to explore. Empty tea boxes, paper clip boxes, and granola bar boxes work the best for me. I place 2 or 3 different boxes, a set of pattern blocks, and a container of marbles at one of my math stations. Students investigate how many of each unit it takes to fill the boxes. We discuss the observations that were made while filling the containers. 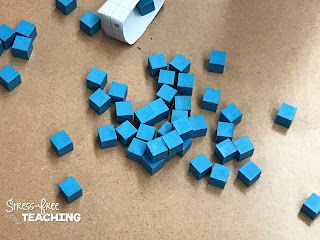 Students will discover that the pattern block shapes and marbles did not fill the boxes as they expected and that gaps and overlaps were noticed. You can find a copy of the worksheet here. Next, students are asked to fill the same boxes with cubes. I use centimeter cubes and Unifix cubes for this activity. 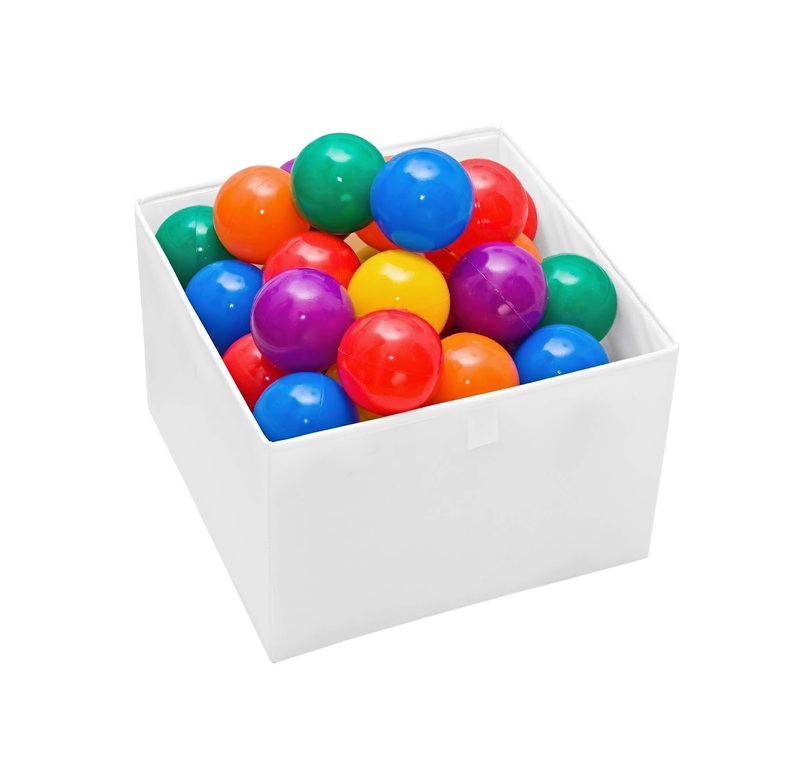 Unifix cubes are great for boxes that are bigger in size. Once students have filled the boxes with cubes we discuss their observations. This leads to a discussion on cubic units. My classroom floor is made up of square tiles. I explain that we can find the area of the classroom floor by counting the square foot tiles. Then, I explain that we could find the volume of the classroom by using cubic feet. I use rulers to help students understand what a cubic foot looks like. 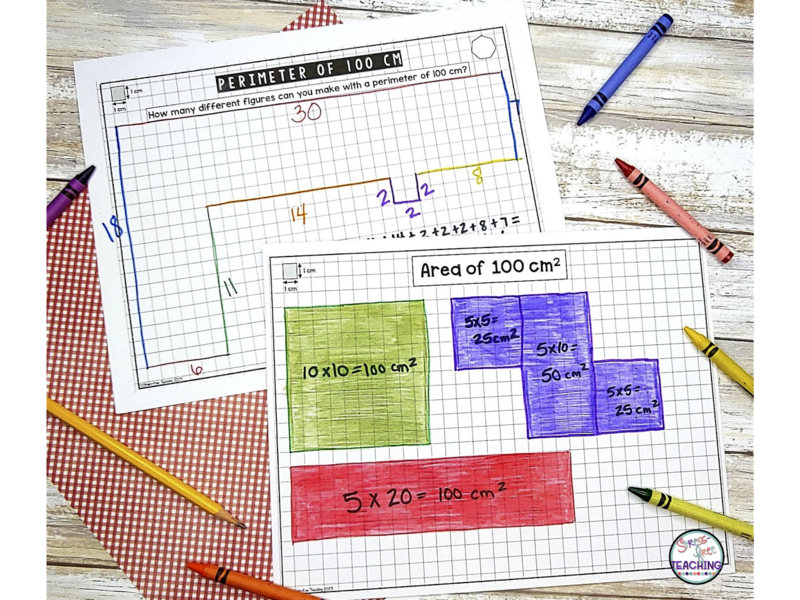 I place one ruler along the length of a tile, one along the width of a tile, and use a third ruler to show the height. Then I add construction paper to make a cubic foot. This really helps my students to see what it means to measure with a cubic unit. Next, model how to find the volume of a rectangular prism by filling and counting cubes. Nets are perfect for this. 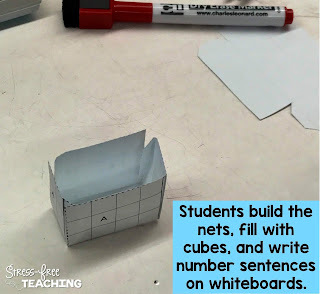 Students fill the nets with cubes and count the total to find the volume. The best way for students to master the concept of volume is to practice. Begin by practicing with cubes and then have students shift to using formulas to calculate volume. This can be done digitally or by using paper-based practice sheets. You can check out my favorite resources to practice volume here. 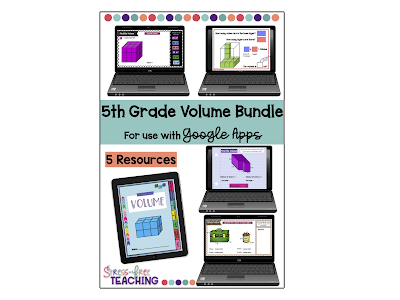 Would you like to try a digital resource to practice volume? Click here.